For my Interactive Design class our first assignment was to create a simple design with shapes. We could also add small animations if we wanted. I did add some animation, but I don't know how to show the code on blogger. 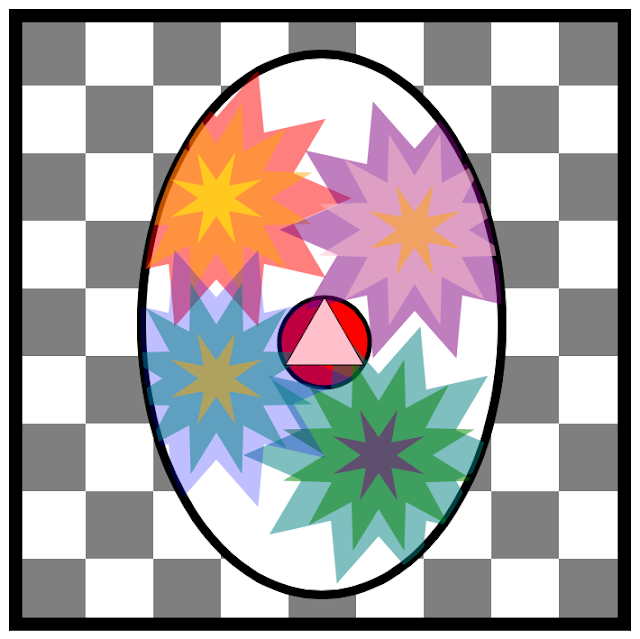 In this design, the stars rotate and the checkered behind the oval rotates the other direction. It took a long time to get everything positioned just right. Also to actually code everything took a little while. Here is an example of the coding of the animation.